This site may not be optimized for mobile. Tap to view mobile only. Your web browser doesn’t support WebGL. The SPAC3 app is developed by ESA with RAM radioartemobile in cooperation with ASI and Cittadellarte - Fondazione Pistoletto to raise awareness on preserving Earth and engage the public by creating a social artwork. The SPAC3 application asks you to choose which six areas you wish to have your voice and share your message. These areas include all 17 goals adopted by the UN for their 2030 agenda, to resolve the most relevant global issues: People, Planet, Prosperity, Peace, Partnership. In 2010 he wrote the essay The Third Paradise, published in Italian, English, French and German. In 2011 he was the artistic director of Evento 2011 – L'art pour une ré-évolution urbaine in Bordeaux. In 2012 he started promoting the Rebirth-day, first worldwide day of rebirth, celebrated every year on 21st December with initiatives taking place all around the world. Vitality, Innovation, Technology and Ability form the acronym VITA, which means life in Italian. It is the name for ESA astronaut Paolo Nespoli’s six-month mission on the International Space Station leaving Earth on the Russian Soyuz spacecraft leaving from Baikonur in Kazakhstan. It is the third of six missions that NASA made available to Italy’s space agency ASI in exchange for delivering Space Station logistic modules Leonardo, Donatello and Raffaello. 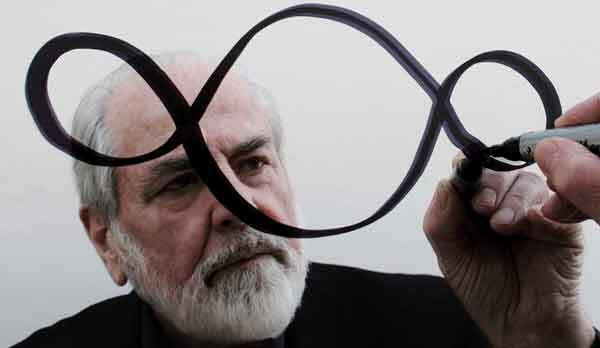 The VITA logo was inspired by the “Third Paradise”, a reformulation of the mathematical symbol for infinity by the artist Michelangelo Pistoletto. 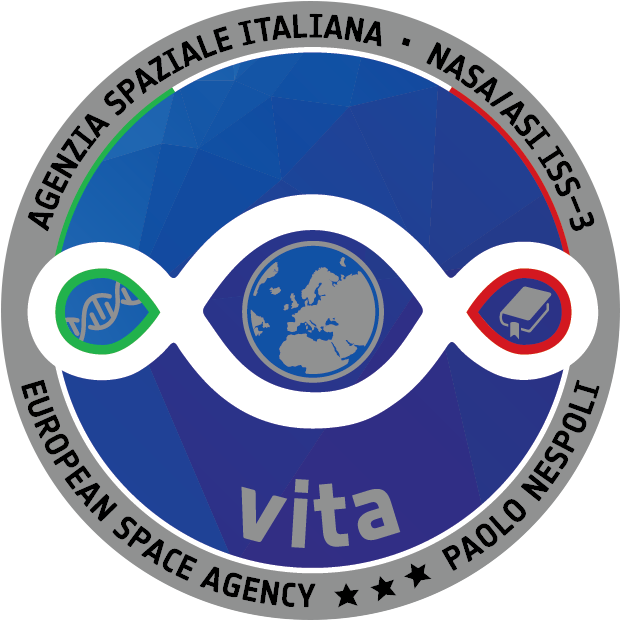 The patch was designed by ESA in collaboration with the astronaut himself and ASI, and represents the mission's main messages. Two opposing ovals signify the scientific and educational activities developed in space, while a central circle is the meeting point representing the evolution of Earth and the benefits of space activities for humanity. 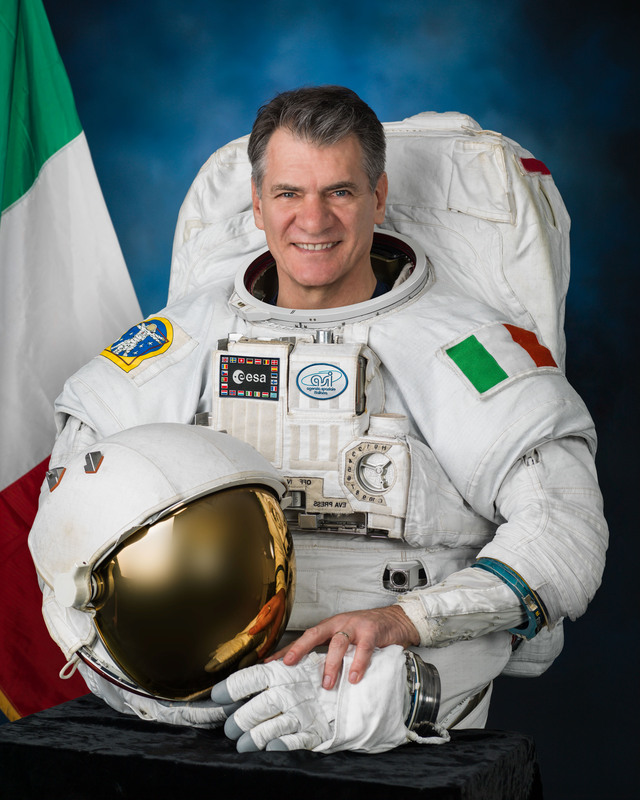 Born in Milan, 6 April 1957, Paolo Nespoli is a European Space Agency astronaut. Paolo joined ESA’s astronaut corps in 1991 that is based in in Cologne, Germany, where Paolo worked as a training engineer. His second space flight saw Paolo take part in Expeditions 26-27 of the International Space Station. He was launched into space, 15 December 2010 and his second flight was called MagISStra. He returned to Earth 24 May 2011 spending 159 days in weightlessness. His third mission will take place in 2017 as part of Expeditions 52-53 and is called VITA, that stands for Vitality, Innovation, Technology and Ability, leaving Earth on the Russian Soyuz rocket for six-month mission on the Space Station. Itay’s space agency ASI coordinates Italy's efforts and investments in the space sector, including space science, satellite technology and developing systems to explore the Universe. Italian industry has a long history in space-propulsion research. ASI plays a leading role in ESA’s Vega rocket that was designed in Italy. COSMO-SkyMed, a flagship ASI programme, will improve our knowledge of Earth and help predicting environmental disasters toensure rapid response to crisis-stricken areas as well as measuring the effects of climate change. ASI performs a key role for European as Italy is the third largest contributor country to the European Space Agency. It is also globally in the space sector with a close working-relationship with NASA, which has led to ASI’s participation in many interesting scientific space missions in recent years. Founded by Mario Pieroni and Dora Stiefelmeier in 2003, is a platform for contemporary art based in Rome, dedicated to sound research and exhibitive activity which aims towards the creation of an international network. RAM sets up exhibitions and projects in collaboration with both public and private spaces all over the world, juxtaposing visual and sound art. In 2004, in the Rome office, RAM founded SAM, SoundArtMuseum, a permanent archive of SoundArt works open to the public and available on-line. Housed in a 19th century industrial complex in the centre of the Biellese wool district, Michelangelo Pistoletto with a group of researchers and experts have been working since the 1990s in a collective laboratory: an organisation that gathers artists, promoters of sustainability in the fashion world, entrepreneurs who develop supply chains for an ethical economy, architects engaged in planning and building sustainable housing modules and anyone who is committed to interact with and follow nature’s wisdom. Called Cittadellarte, the laboratory connects knowledge and activity to face challenges of contempary life: the relationship and dialectic between individual and society, freedom and responsibility, autonomy and belonging, appropriation and sharing, the sustainability of economical systems or the ethics of coexisting. Cittadellarte aims to educate and motivate to contribute and generate change in every sector of life on the individual level as well as for organisations and collectives dimension using a holistic approach involving both spirituality and politics including economics, fashion, architecture and food. The images taken by ESA astronaut Paolo Nespoli are to be credited ESA/NASA unless otherwise stated. The images uploaded by the users are personal creations and do not necessarily reflect the views of ESA, ASI, Cittadellarte - Fondazione Pistoletto or RAM radioartemobile. All images should be seen as artistic interpretations by the users.